Nifty Nabber Pro Is Excellent For Picking Up Bottles And Debris. 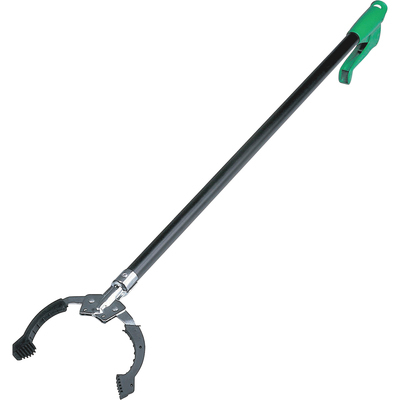 Strong Metal Bar Inside Steel Shaft Provides Extra Durability And Grab Power. Powerful, Rubber-Coated Claws Delivers A Reliable Grip..
Nifty Nabber Pro Is Excellent For Picking Up Bottles And Debris. Strong Metal Bar Inside Steel Shaft Provides Extra Durability And Grab Power. Powerful, Rubber-Coated Claws Delivers A Reliable Grip.